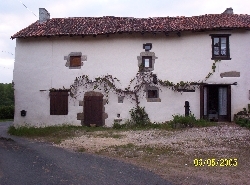 HOLIDAY HOMES TO RENT IN VIENNE, POITOU-CHARENTES. Welcome to our selection of holiday homes to rent in Vienne, France. The western departement of Vienne is located in the Poitou-Charentes region, and is an area that is becoming more and more popular with visitors to France. The pleasant countryside, dotted with castles and palaces, as well as the historic main town of Poitiers are all proving to be a big draw. Local tourist bosses have even started to develop new tourist attractions and theme parks to encourage more visitors to the region. The area is only a short drive from the seaside resorts of the Atlantic Coast, and is well worth visiting for a day trip if you are staying in the region. The pretty medieval town of Poitiers is the best place to base yourself if you are planning on spending some time in Vienne, as it has the best choice of tourist accommodation and restaurants, as well as lots to see and do. The pedestrianised old town is perfect for strolling around, admiring the 12th and 13th century buildings that line the streets, as well as the Gothic 11th century cathedral. If you are unlucky enough to have bad weather, there are a number of art museums in Poitiers, as well an exhibition space which often has science and technology events. Just north of Poitiers is another attraction that will interest those with a passion for science; the Futuroscope amusement park. Unlike most amusement parks, there are few rides or roller coasters here. Instead Futuroscope features interactive exhibits and futuristic architecture, all set in the lush Vienne countryside. There are dozens of pretty and unusual towns throughout the Vienne countryside, including Montmorillon, which is known as the �City of Writing�. In the medieval part of the town, there are several shop and workshops where you can watch craftsmen making books by hand or practicing calligraphy. The town also hosts a large book festival every year. Further north is the remarkable town of Chauvigny, with an incredible five castles for tourists to explore. One is home to an archaeological museum, featuring artefacts that have been found in local excavations while the town hosts a bird of prey show daily during the summer months, which will keep the children happy after all that sightseeing. Children may also enjoy one of the newer attractions in the region. The Valley of the Monkeys is a wildlife park just north of Civray. Featuring over 350 animals and more than 30 different species of monkey, visitors drive though the area, rather like a safari park. Looking for self catering holiday accommodation in Vienne? Then below is a selection of gites in Vienne and villas in Vienne that can be rented direct from their owners. You can either click on each listing for further details or you can use our search engine on the left if you are looking for something in particular.